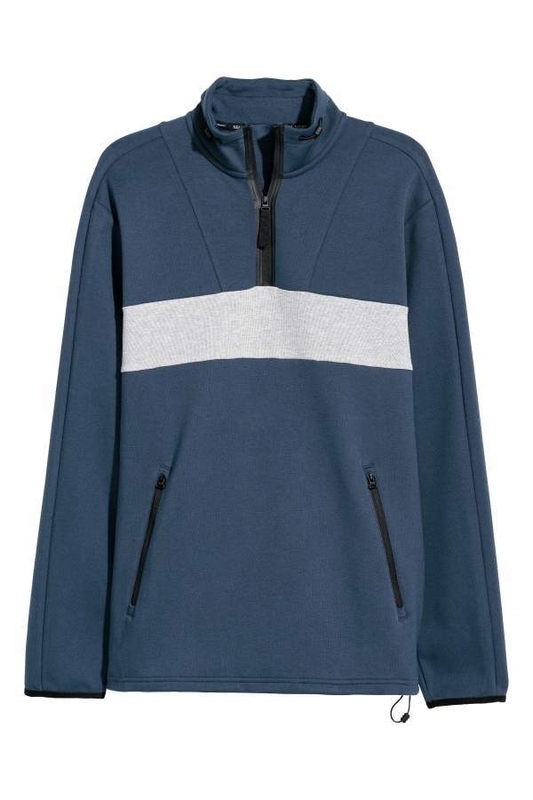 Sports shirt in jersey with a zip at top and stand-up collar with elastic drawstring. Kangaroo pocket with zips, long sleeves, and cuffs with elasticized trim. Elastic drawstring at hem.